Sorry, I thought it would be easier to post everything after E3 was over. Check out Gameweb:Viewpoint for the E3 review. That's really quite different from the last picture of the game from several years ago. 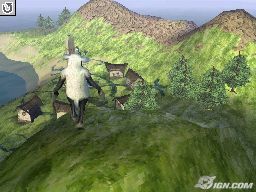 Man, I cant wait till E3! Those lucky enough to attend the MTV taping were in for a treat. 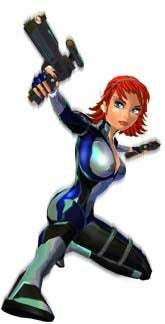 They got to play Perfect Dark Zero. Now, they've described their experience, and given us the first details on the game! "Descriptions of a realistic-looking ("Halo 2-like graphics") Perfect Dark Zero, apparently in playable alpha. An excited member of the PMS Clan excitedly mentioned a "Counter-Strike" feel, though with the addition of stealth elements similar to Splinter Cell. The game will apparently offer more than 22 different weapons ("Every kind of thing that your trigger finger would feel comfortable shooting is in that game"), including a gun which turns the player invisible. She also mentioned a jet-pack of sorts used to fly around a level. Recently, reports from Gameindustry.biz have stated that Nintendo will not show off the Revolution to the public, but will show it in video form. Instead, Nintendo will unveil a new Gameboy; the Gameboy Advance2. It's an update of the original GBA, but with an MP3/video player and built in wireless functions. How useless. 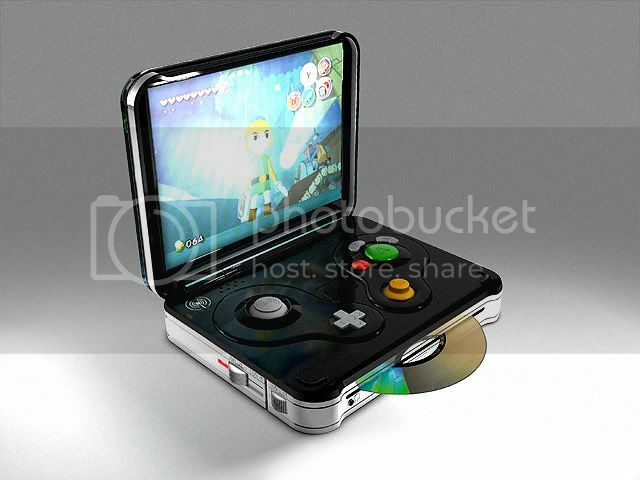 And here we all thought Nintendo would show the next-gen Gameboy that could play Gamecube games. A DS version of the game Black and White is in the works. 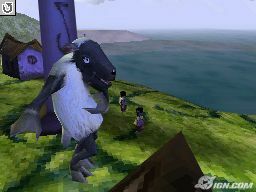 Entitled Black and White Creatures, the game will be original rather than a port. It will utilize the touch screen as well as the microphone. 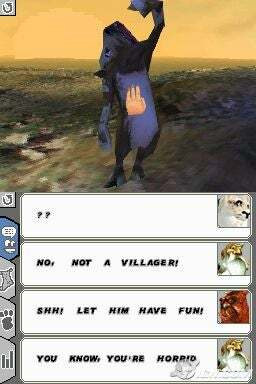 It'll also have new modes, such as a multiplayer mode in which you battle your creatures. Not only that, but it looks pretty good too! 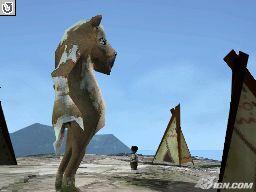 Some new trailers for you all of some next-gen games for the PS3 and Xbox 360. Personally, I'm real excited about this one! I hope it'll be an 360(and PS3) launch title! Next, there is Alan Wake for the 360: http://gametrailers.com/download.php?id=5626&type=mov&f and http://gametrailers.com/download.php?id=5626&type=wmv&f for WMV. Not much in this one, but beautiful nonetheless. THESE ARE OFFICIAL PICTURES FROM THE TAPING OF THE MTV SPECIAL BEING SHOWN THIS THURSDAY AT 9:30. THE FIRST SHOT SHOWS THE SYSTEM, HEADSET, AND WEBCAM ACCESSORY. THE SECOND IS A CLOSE-UP OF THE FINISHED CONTROLLER. THE THIRD IS THE XBOX 360'S DVD REMOTE. AND, FINALLY, IF THAT'S NOT PROOF ENOUGH, THE XBOX 360 MTV AIRING PRESS PASS. There. Proof enough for you Raider Bear? It's also been discovered that this: http://xbox.advancedmn.com/images/content/boxart/xbox360logob.JPG is in fact, the official logo. Also, the logo on the controller serves as some sort of button. Remember to WATCH THE SPECIAL THURSDAY AT 9:30!! "This special highlights the exciting new generation of XBOX. Packages include: Tours of the design labs Interviews with the designers Behind-the-scenes and inside scoop Never-before-seen footage of new videogames. Trailers of the newest games that are due out in November for the new XBOX. The next generation will be revealed at an event at the Avalon club in LA, hosted by Elijah Wood and featuring performances by The Killers and Snow Patrol." Imagine the perfect Dragonball game. A game with every character and major plot point ever. Now imagine it's real. Guess what? It is! This fall, DBZ fans will get the game they've always wanted: Dragonball Z Sparking! Despite the odd name, this game will have everything a fan could ask for. One of the most welcomed additions is Jenemba, the villain from the 12th movie in Japan. Expect him along with over 60 other characters including Chaozu, the entire Ginuyu Force, and the Ouzaru forms of all the Saiyans (and hopefully all the characters from Budokai 3 plus some of my favorites: Bojack, Nova Shenron, Baby Vegeta, Vegeta Jr., Goku Jr., Super 17, Tapion, Turles, Evil Buu, and anyone else they feel would be cool. Like, say, more crazy fusions?). The controls have also been revamped to include free-flight! This will make for more realistic battling. The rest of the buttons now also perform different actions. For instance, the triangle button is now used for an energy blast rather than a kick. For more info and screens head on over to http://ps2.ign.com/articles/610/610219p1.html. I'll soon have a preview up of the new DBZ game announced today over at Gameweb:Viewpoint. Check it out! It's awesome! Stop the presses! Another (alternate) Xbox 360 logo has shown up! http://media.teamxbox.com/dailyposts/xbox360/rumor/newlogo.jpg I like the other one better, if you ask me. Which will it be? Guess we'll have to wait two weeks to find out! Now, someone tell me why it's called an Xbox if the logo is a circle. The title is pretty self-explanatory. http://media.teamxbox.com/dailyposts/xbox360/rumor/xbox360_controller_2.jpg Notice how there is no logo. This suggests that it's a prototype. Also, note the cord that wasn't in the other picture. 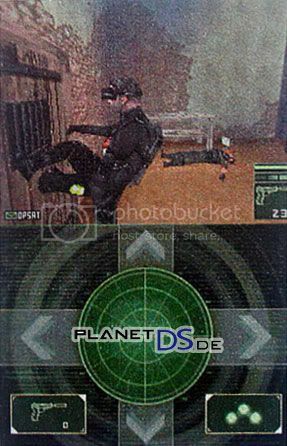 Good news for Splinter Cell fans, Splinter Cell DS has been announced! The first shot, though blurry, shows that it will not be a 2D side scroller as previously thought.